It was sometime around the middle of the third day of skiing on the delightfully translucent but relentlessly hard, blue ice of Lake Baikal that I began to think of mountain bikes and studded tires. Thanks to the weight of our packs and the firmness of the ice, the edgeless touring skis that we were using were completely flattening out in the middle, which was making it a real challenge to make them track straight. Before we set out for this six-day excursion along the western coast of Lake Baikal, from the town of Listvyanka to Olhon’ island, I had envisioned spending our days kicking and gliding on hard-packed and wind-swept snow. Instead we struggled to stay upright and keep our skis parallel as we steered and maintained our speed by double-poling on the slick ice. We were quickly made aware of how seldom we use the muscles of the insides of our thighs and groin. Not long after my buddy took a fall that split his eyebrow we decided enough was enough and spent a couple of days with local villagers before getting a ride back to Irkutsk, where I was living at the time. Although the trip turned out to be shorter than we had planned, the icy expanses of Lake Baikal in winter left an impression on me that has proven unforgettable. The lake has a powerful spiritual presence that most likely comes from the fact that it is the oldest and deepest lake in the world. Even in winter the lake seems alive; the ice groans and pops as it moves. On that third day of squeezing my thighs together as if I were trying to crack walnuts I dreamt of swapping my skis for a mountain bike. 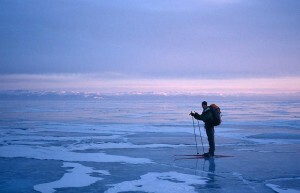 It seemed to me to be the best way to experience Baikal in winter and to explore its more wild and remote corners. 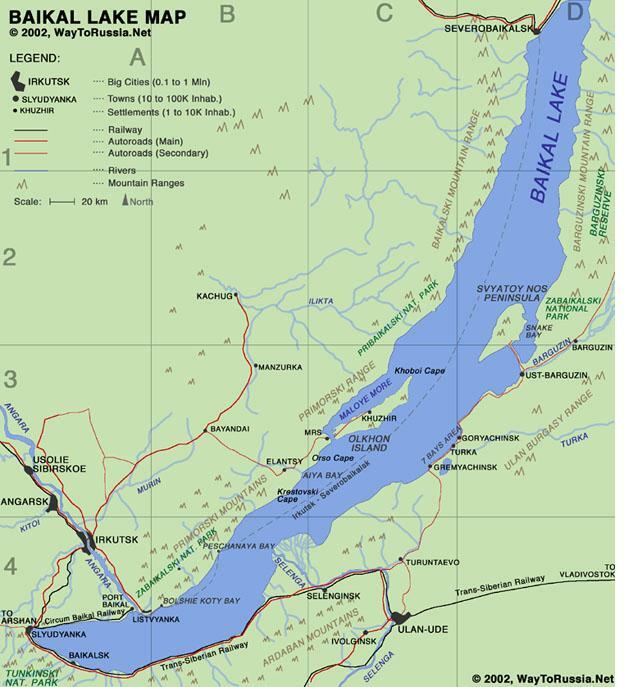 From that day I have dreamed of returning with a group of friends to complete the first human-powered winter circumnavigation of Lake Baikal on mountain bikes. It has taken 4 years for this dream to come to fruition, but circumstances have finally aligned, and we are set to embark on this adventure in February of 2010. Keep dreaming those Arctic Dreams!